Traumatic brain injury explains the memory problems, explosive anger, inability to control impulses, headaches, insomnia—and maybe even impotence—that afflicted Henry during the decade before his death in 1547, according to a paper published online the week of Feb. 1. "It is intriguing to think that modern European history may have changed forever because of a blow to the head," said Arash Salardini, behavioral neurologist, co-director of the Yale Memory Clinic and senior author of the study. The English monarch is best known for his dispute with the Catholic Church over his desire to annul his first marriage to Catherine of Aragon and marry Ann Boleyn. The affair led to the English Reformation and the creation of the Church of England. 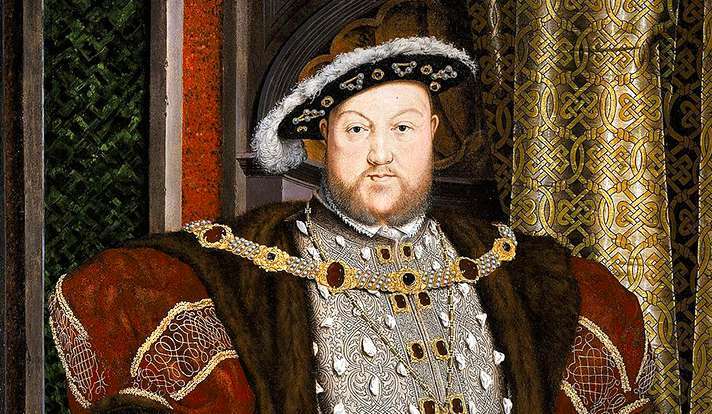 Henry would marry six times—and execute two of his wives. Research assistants Muhammad Qaiser Ikram and Fazle Hakim Saijad analyzed volumes of Henry's letters and other historical sources to document his known medical history and events that may have contributed to his ailments. Their findings confirm conjecture by some historians that jousting injuries caused later health and behavioral problems. Henry suffered two major head injuries during his 30s. In 1524, a lance penetrated the visor of his helmet during a jousting tournament and dazed him. A year later, he was knocked out when he fell head-first into a brook he was trying to vault across with a pole. However, said the researchers, the English monarch's increasingly unpredictable behavior may have been triggered by an accident during a jousting match in January of 1536 when a horse fell on Henry, causing him to lose consciousness for two hours. "Historians agree his behavior changed after 1536,'' said Salardini, noting that descriptions of Henry during his youth portrayed an intelligent and even-tempered young man who made wise military and policy decisions. His behavior in the later years of his life became notoriously erratic: He was forgetful and prone to rages and impulsive decisions. In 1546, for instance, he was assuring his sixth, wife Catherine Parr, that he would not send her to the Tower of London when soldiers arrived to arrest her. He launched into a tirade against the soldiers, having forgotten that he had given that order the day before. Other ailments attributed to Henry—such as syphilis, diabetes, or Cushing Syndrome, a condition marked by weight gain and obesity—seem less likely in light of the available evidence, said the study's authors, noting that traumatic brain injury best explains most of his behavioral abnormalities.